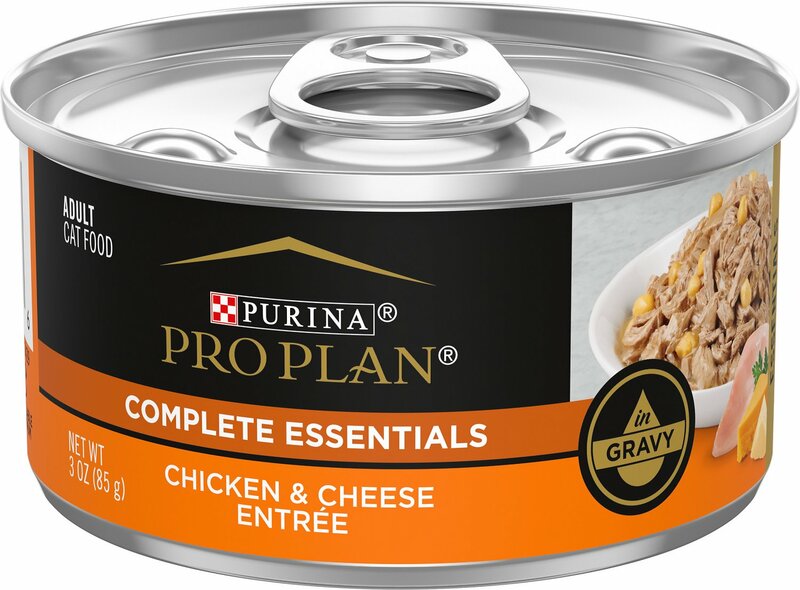 Treat your cat to a meal that purr-fectly combines flavor and nutrition, with Purina Pro Plan Chicken & Cheese Entrée in Gravy. 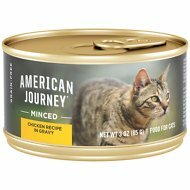 This mouth-watering canned cat food features real chicken and cheese and has a tender, moist texture, all thanks to the savory gravy. It is made with high-quality ingredients chosen with a specific purpose to benefit your cat companion. Each serving offers 25 essential vitamins and minerals, plus taurine—an amino acid to help support your cat’s overall health. Most importantly, this wet cat food offers 100% complete and balanced nutrition for adult cats. 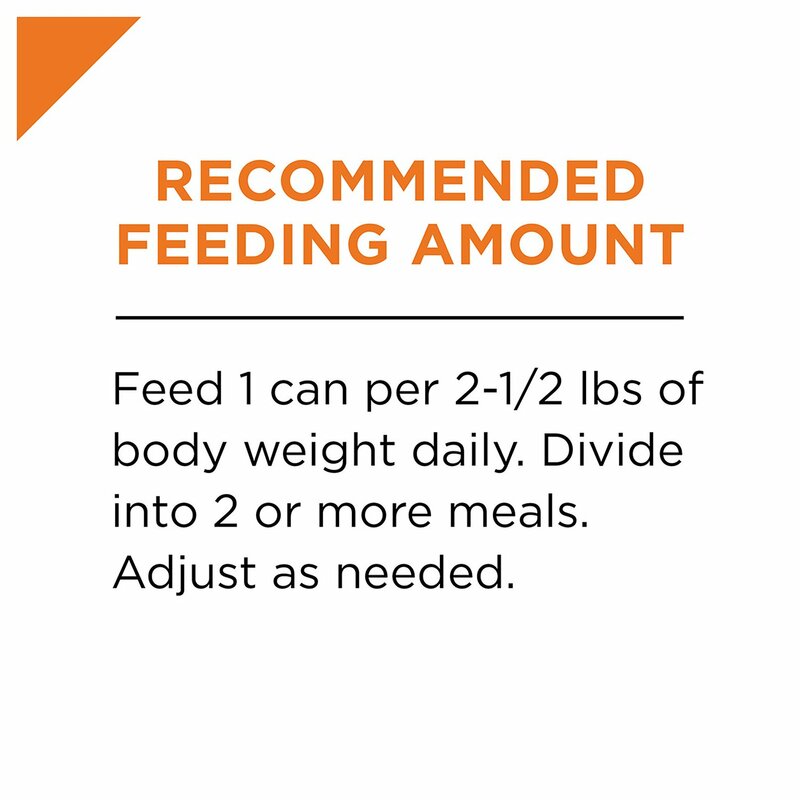 So, fill your cat’s dish with this Purina Pro Plan recipe and give her the high-quality meal, nutrition and taste she deserves! 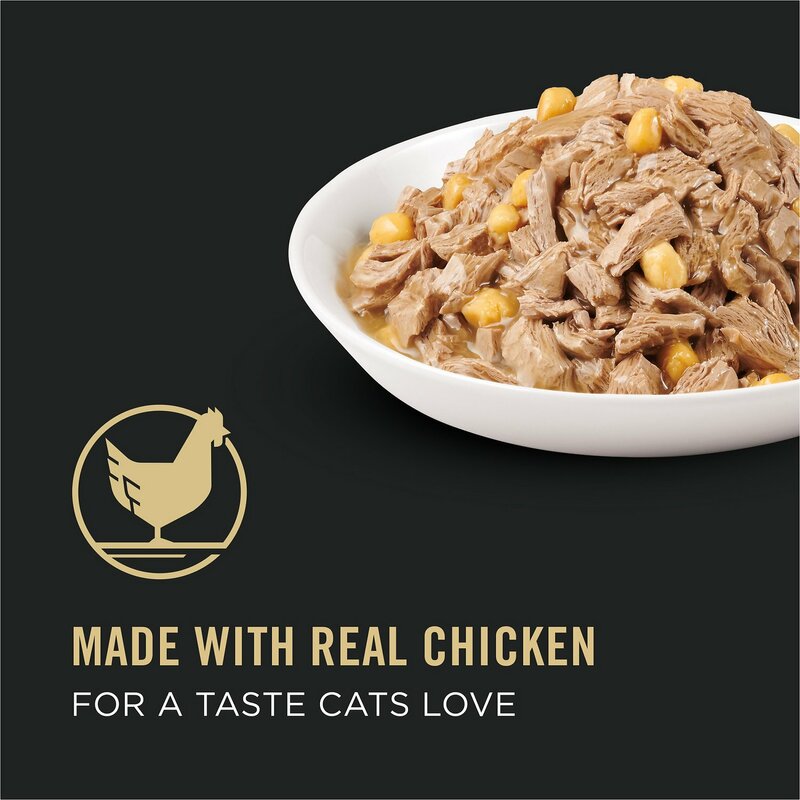 Real tender chicken and cheese in gravy provides the ultimate texture and taste your cat craves. 100% complete and balanced diet specifically formulated to support a healthy lifestyle for adult cats. Helps to encourage healthy skin and a beautiful, shiny coat. Essential nutrients help support a healthy immune system. Savory gravy not only adds flavor but it also adds moisture to every bite. Water Sufficient for Processing, Chicken, Liver, Wheat Gluten, Meat By-Products, Vegetable Starch-Modified, Cheese, Artificial and Natural Flavors, Salt, Sodium Caseinate, Vegetable Oil, Tricalcium Phosphate, Soy Protein Concentrate, Corn Starch, Minerals [Potassium Chloride, Zinc Sulfate, Ferrous Sulfate, Manganese Sulfate, Copper Sulfate, Potassium Iodide], Added Color, Dried Whey, Taurine, Choline Chloride, Vitamins [Thiamine Mononitrate (Vitamin B-1), Vitamin E Supplement, Niacin (Vitamin B-3), Calcium Pantothenate (Vitamin B-5), Vitamin A Supplement, Menadione Sodium Bisulfite Complex (Vitamin K), Pyridoxine Hydrochloride (Vitamin B-6), Riboflavin Supplement (Vitamin B-2), Vitamin B-12 Supplement, Biotin (Vitamin B-7), Folic Acid (Vitamin B-9), Vitamin D-3 Supplement], Sorbic Acid (a Preservative). D-4693. Please allow 7-10 days to ease the transition from your cat's current food. Each day, simply feed a little less of the previous food and a little more Pro Plan until you're feeding Pro Plan exclusively. This gradual transition will help avoid dietary upsets. Lady isn't a picky eater but she burns out quickly when she gets a flavor often. She hasn't burned out on this Chicken & Cheese in Gravy! She smells it when the can is opened, meows for it, and quickly cleans her bowl completely instead of leaving a few pieces like with other foods. Please don't stop carrying this -- Lady would be so unhappy. Very few things makes my cat happy. She loves cheese. I know she shouldn't have it because of bathroom issues, but I give it to her once in a blue because she absolutely loves it and who am I to keep her away from something she loves forever? I bought several different kinds to see what my cats would like And they wouldn't eat this not even one bite. My two cats love this! They are cheese lovers and this was just what they were waiting for. another good one at our house , who doesn't like cheese!! My oldest cat, who is extremely picky, gobbled this one up. She likes the cheese! My cat Chanel absolutely loves this food. She licks her bowl clean. Just purchased it again. So glad I gave it a try. Chewy is always the best! We receive orders from Chewy every two months. Our kitties love the food and we love the prices and amazing customer service. We have stopped going to local pet stores and now only shop at Chewy! Wow! the boyz love this flavor! i picked up a couple of cans at a local pet food store and tried it out on my four boyz. They love it! I personally think it looks disgusting, but they lap it up. As long as they are happy, i'm happy. It was to my surprise that all four of our cat's love it!